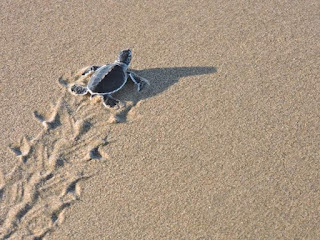 Sukamade Beach Tour Package 2 Days is the short trip to explore the the turtle process laying egg and turtle conservation in Sukamade beach Banyuwangi wherein You will do an adventure at night accompanied by local ranger from nearby Sukamade homestay. Sukamade Beach Tour Package 2 Days from Banyuwangi is the most recommended trip package because Sukamade Turtle beach located nearer from Banyuwangi Harbor or train station. The principal vacation of Sukamade Turtle Tour is watching the turtle laying its eggs on virgin secluded beach which is well-known as Sukamade beach. Before searching the turtle you will go through tropical low land rainforest Meru Betiri National Park on the southern coast of Java island. It is also possible to walk on jungle road for haft to one hour after long driving from Kalibaru or Banyuwangi to Rajekwesi (Fishermen villages). Taman National Meru Betiri who has been set in colonial era as one of wildlife reserved in east java is worth to visit during your vacation especially sukamade turtle beach tour in Indonesia. The peak season for green turtle (mostly found laying their eggs on Sukamade Banyuwangi) is on wet season but usually can be found on entire year. All typical animals will seem in Sumakade Beach when You have a fortune time because these animals mostly appears when the weather is good. 09.00 - 10.00 AM, Our driver will pick You up using private Jeep in your location request (Banyuwangi Ketapang Harbor, Hotel, Airport). Then take You to the homestay around Sukamade Beach through Jajag - Sanggar and Sarongan village for 5 hours. Continue visit the Sukamade plantation village (Afdeling). Arrive at the guest house, take a shower, rest until dinner time. Dinner on Sukamade Guest house. Depart to Sukamade Beach by jeep (5 km). Stop at Turtle hatchery or Park Ranger Office (possible to see the turtle hatchlings all the time of year). Walk to the beach (800 m) and sitting on the beach wait for the signals from park ranger who search for the turtle (Not allowed to smoke, turn on the flashlight, loud talking or making any loud noises). If we are lucky to find the turtle and watch the wonderful processing of laying eggs, we go back to guest house and break. 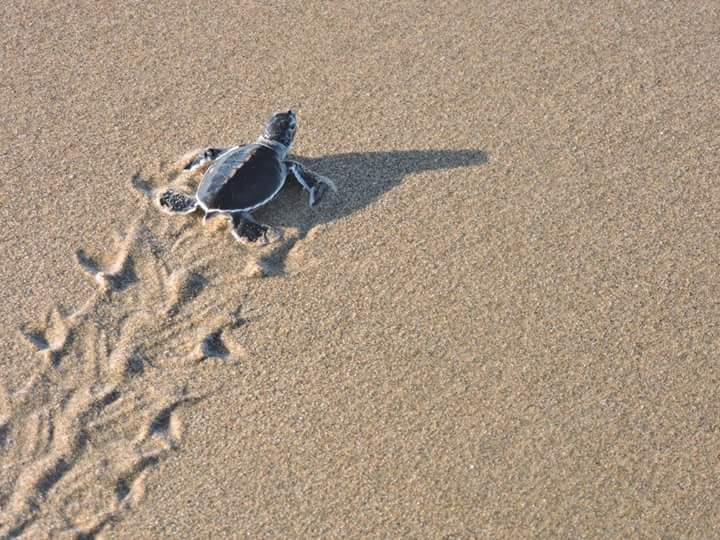 Wake up in the morning while enjoy hot drinks then enjoy the baby turtle return to ocean (turtle release). Afterward, have Breakfast at your Sukamade Guest House. Check out and return to Banyuwangi regency for 6 hours through Rajegwesi beach. Reach your location request in Banyuwangi area, Finish Sukamade Beach Tour Package 2 Days from Banyuwangi. Below is one of the tour package option from Surabaya, Malang, Banyuwangi. If You need to know more information about Our tour package, You just visit Our booking form. Sukamade Beach is one of recommended tourism around Banyuwangi City. this tour package very suitable combined with Ijen Crater Tour Package to see the Blue Flame Ijen Crater because also have nearest location from Banyuwangi City. Before You decide to choose Sukamade Beach Tour Package 2 Days from Banyuwangi, Hope You prepare flashlight, trekking shoes, jacket or casual dress, Mosquitoes repellent lotion, camera and other tools prefer You need.